Already when Jørgen Vikestad was a boy, he stood in the Rørvik village square in the coastal municipality of Vikna in Central Norway and sold self-produced Christmas trees along with his father. Now, his own son is taking over the proud family tradition. 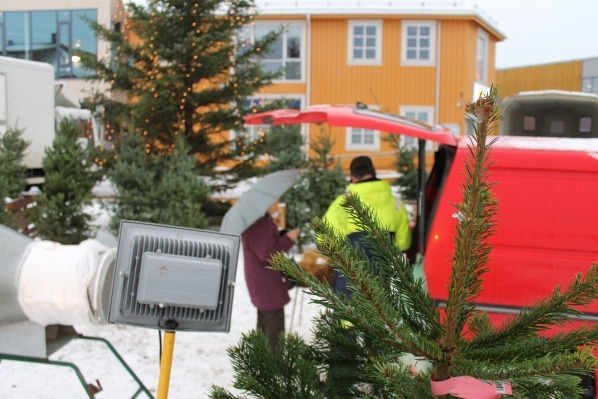 The Christmas trees are grown and harvested on the Vikestad farm not far from Rørvik. Jørgen Vikestad has been a dairy farmer and operated a horse center, but now his son has taken over the family farm. 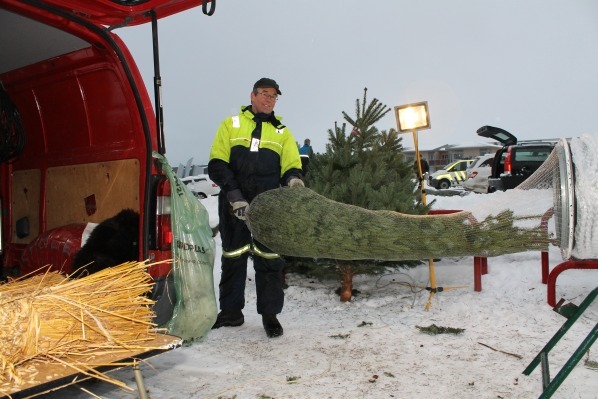 Jørgen sells Norwegian coastal spruce, or formally Sitka spruce, and subalpine fir. Jørgen says that subalpine fir is the most popular type because it has better durability than spruce and does not drop needles, but that there has been a problem that the buds are eaten by moose. Therefore, the Christmas tree seller also has to buy trees elsewhere in the county to meet the demand. – Originally it was imported from Canada and has longer fibers than the Norway spruce making it very strong. Moreover, it grows faster than regular spruce, tolerates salt water and the harsh coastal climate. 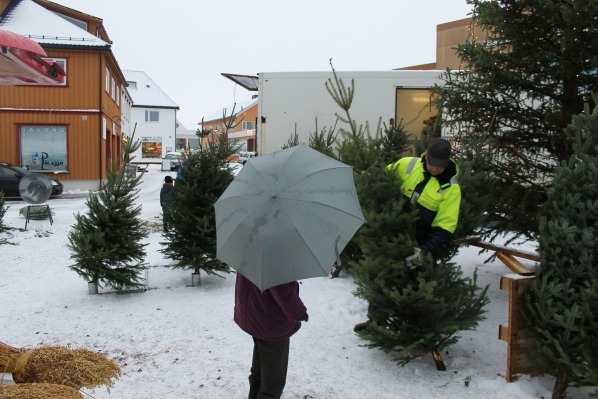 ThorNews asks if the customers have special requirements for a Christmas tree? – They are very quality-conscious, and in recent years the quality of the trees has become extremely high, he says. Jørgen says he currently is working as an IT manager at the local high school and that the Christmas tree sales only is a side job that he has continued because it is a nice tradition. He and his son have spent many man hours before the trees are sold in the village square: From cultivation, to logging, transportation and sales. ThorNews asks how long durability a Christmas tree should have. Vikestad tells that these trees were cut about a week ago. If the indoor temperature is approximately 25 degrees Celsius (77 °F), the Sitka spruce should stay in good shape approximately 3-4 weeks from it is brought into the heat until it begins to drop needles. The lower temperature – the longer durability. Moreover, they must be watered regularly! – A fresh three is drinking plenty of water, says the friendly Christmas tree seller before he excuses himself and takes care of a new customer.